Yet another reveal by rating, it's Puyo Puyo time! If I had to guess, this is a Puyo Puyo game that is going to largely focus on online mutiplayer, however, I hope it has a story and a large amount of characters, more Puyo is always good though. 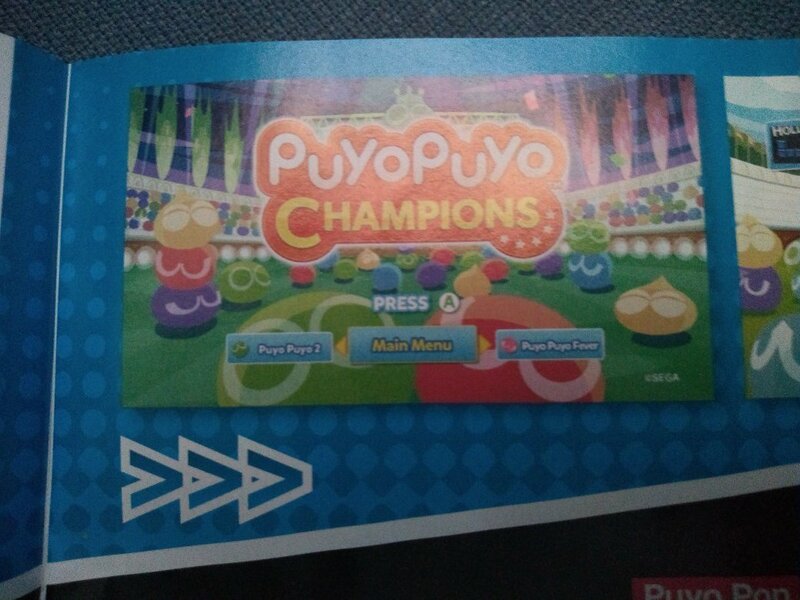 I feel that the title of this game indicates that this will be a basic version of Puyo Puyo without the characters, but I hope that I am wrong and this is a game where the essentials of Puyo Puyo is retained, which is the colourful cast that the series is known for. Also, if that were the case, I also hope that they put more characters in because I am unsatisfied with limiting the cast to 24 (even though this is their punny number) when they have three universes to take from (though one of them took every character introduced there). Oh, and they need to re-introduce Fever mode because I was disappointed with the lack of it in Puyo Puyo Tetris. - This game will have two modes: Standard and Fever. Standard is the Puyo Puyo mode that everybody loves, and Fever is well, what I love. - It might not have too much content since we never got a glimpse of Story mode, so if there's going to be one I would be surprised. - The game is digital and budget release, since it's 1999 yen, so it's on track to be a $20 title if it will be localised. - 24 characters once again (sigh...), and the Madou cast has the most focus. Fever has only 3(! ), so no Klug, Feli and Lemres oddly. 7 only has 3 which means that Ecolo is not present, and Chronicle has Ally. On the Madou Monogatari side, new faces are Harpy, Lagnus and Seriri from the faces I recognise, so I presume the rest are from Quest. 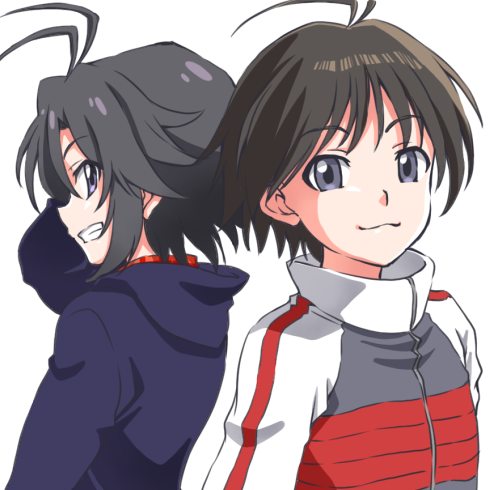 Unfortunately I can see them substituting the new characters with old characters' moveset, such as Seriri using Ocean Prince's moveset and Harpy using Yu & Rei's moveset (they have similar AI patterns after all). I wish we have seen more on the Fever gameplay to confirm this. I love that there's Fever, this being a cheaper title and that there are new characters for once, but it's sad that it's going to be a more basic version of Puyo Puyo and older characters are cut. Arle: Loves chains, so has great overall power during Normal, though Fever power is not as good. Amitie: Well-balanced, meaning decent Normal and Fever chaining power. Ringo: Build up to Fever, meaning overall stronger Fever power compared to Normal power. Ally: Loves chains, so has great overall power during Normal, though Fever power is not as good. Trivia: Ally has the exact same moveset as Oshare Bones, only their playstyle is different since Oshare Bones is a Fever-oriented character. - Tournament mode. 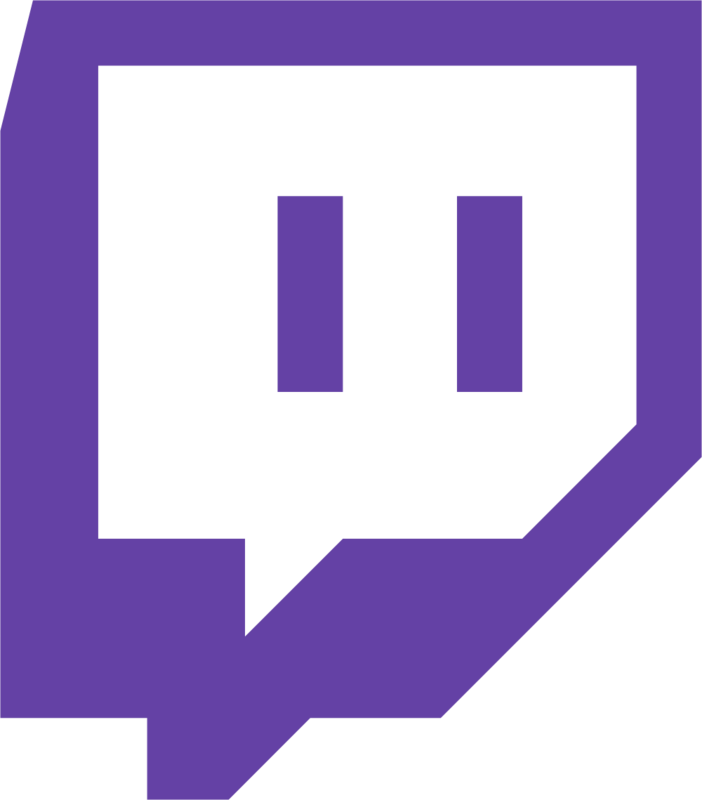 8 players can participate, and because of its structure, this can be played entirely offline since only 2 players square off each time. - Selectable icons. The list includes missing characters from the selection screen: Lemres, Prince Shellbrick III (Ocean Prince's human form), Kikimora, Skeleton T and a Quest character. I don't think this translates to selectable characters unfortunately, but there may be a chance things are different. 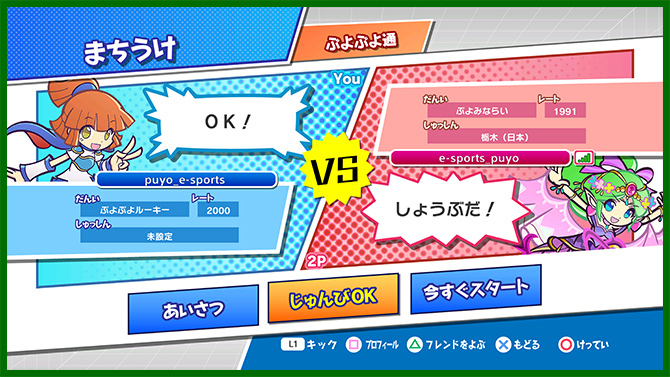 - Much like Puyo Puyo Tetris, there's online play, though this time it's only Puyo Puyo or Puyo Puyo Fever. 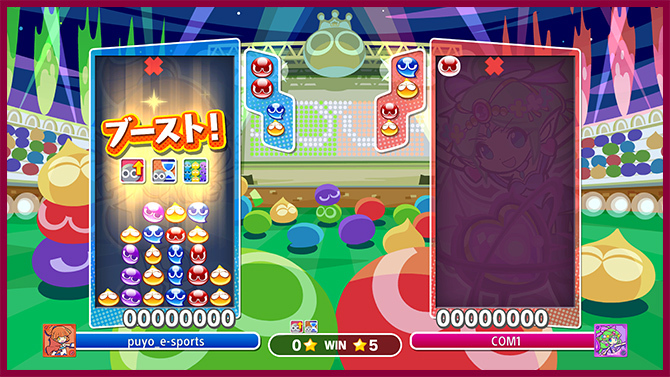 Puyo Puyo players are actually contented with this decision because in Puyo Puyo Tetris, experienced Tetris player has a speed advantage that experienced Puyo Puyo players just can't compete with. - A handicap mode exists in which a losing player receives perks if they are on the losing end. Here's one instance where the left player has a 5 win disadvantage and got perks like having a preset chain, increased garbage power and delayed damage. Unfortunately that video didn't gloss over Lagnus, so I can't identify his moveset. If the moveset is derived from Chronicle, the last game, it's likely going to be based on either Ecolo or Rafisol (who derives her moveset from Zoh Daimaoh the elephant). EDIT: Lagnus (gold-plated brown-haired warrior) shares the same moveset as Schezo! Man, that's another recycled moveset! That means that neither Ecolo nor Rafisol's moveset are copied. Something to note: this game is already out, and in a generous move by SEGA, the game is discounted to 500 yen until 30 November 2018, after which this game will return to its original price of 2000 yen. Obviously, a Japanese account is required since this game is only in Japan so far. 1) This game had an update, but to an average player, the update are mostly background improvements and unlikely to concern most. The only notable change is the default Margin Time (the amount of time before garbage sent is increased) for Fever, which was set incorrectly. 2) I was wrong about Lagnus being the same character as Schezo: Lagnus has a "Harrassment" characteristic, which is shared currently by Maguro. This basically means that the character have a higher power on a lower chain, making sending low chain garbage most effective. Moreover, Lagnus' AI is different from Schezo in that he moves slower. Though with that said, Hed and Suketoudara are the same character essentially, even doing their first-instinct chains by filling up the bottom 4 rows. 3) Risukuma is surprisingly tough, as he has the same AI as Carbuncle, who moves rather quickly. 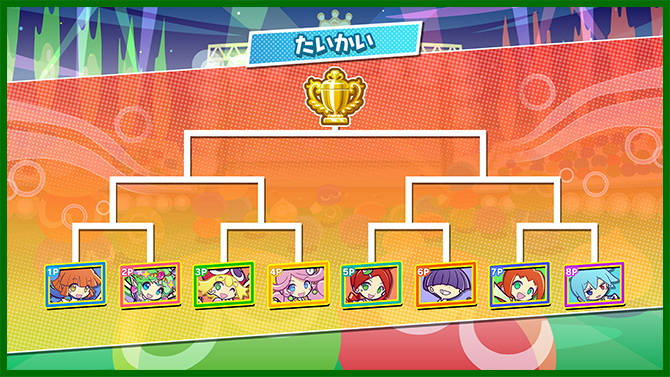 4) AI for Puyo Puyo is overall better than Puyo Puyo Tetris, and Rulue is most affected by this: her AI is not as powerful in PPT compared to here, where she had the second-hardest AI. 5) AI difficulty for Quest characters are lower, as both Hartman and Alex are not that tough, especially compared to the characters they took after (Lemres and Ms. Accord respectively) where their AI is one of the best. 6) Because Harpy replaces Yu & Rei, I will never touch that Fever moveset since I dislike Harpy's cacophonous shouts. Seriri is fine because I liked Ocean Prince's moveset enough to use her. 7) Tournament mode can only be done in multiplayer (at least 2 required), which is a pity as I would like there to be an option for the single player. At least you can play 8 players with just 2 controllers, though. 8) I haven't delve into online as a NSO is required, which I am planning to do next year when I get it. 9) Finally, replay functionality is awesome: you can skip to the best parts if you want. Colour me surprised: this game is getting an English version in the near future, at 7th May this year! 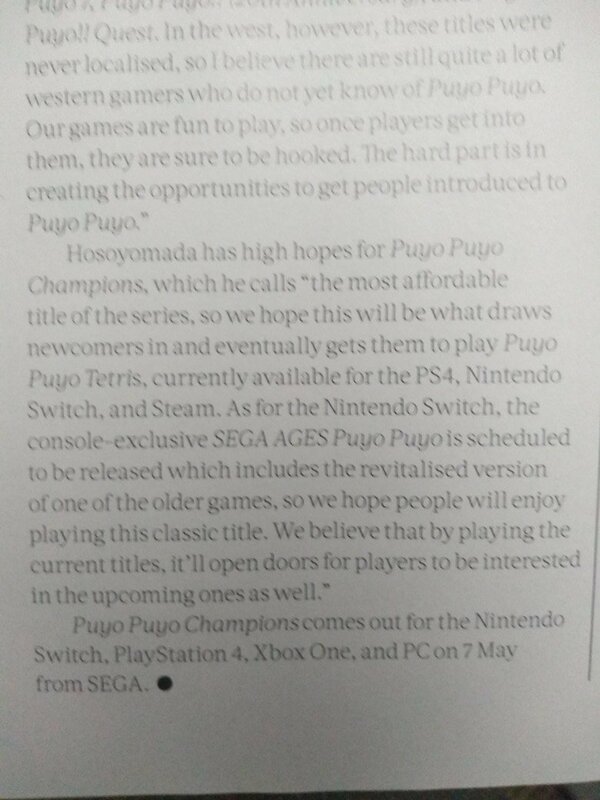 And it will be called "Puyo Puyo Champions" instead! This game needs to be less than $19.99 because I felt that Puyo Puyo is still a tough sell outside Japan, and it's also pretty light on content. While I am glad that this game is getting an English release plus a PC release (so I have an excuse to get a version on PC since I already got the Japanese version), I am annoyed that PC version of Puyo Puyo games cannot exist without an English release so for example, Puyo Puyo Chronicles will never have a PC release. I wonder if people actually liked that the characters count when they made chains. In the original they count based on how many chains they are going to make, and the localised version will be the same. If you don't know what I mean, for example if a character made a 5 chain, they will say "One, two, three, four, [Attack]", instead of their customised attacks.